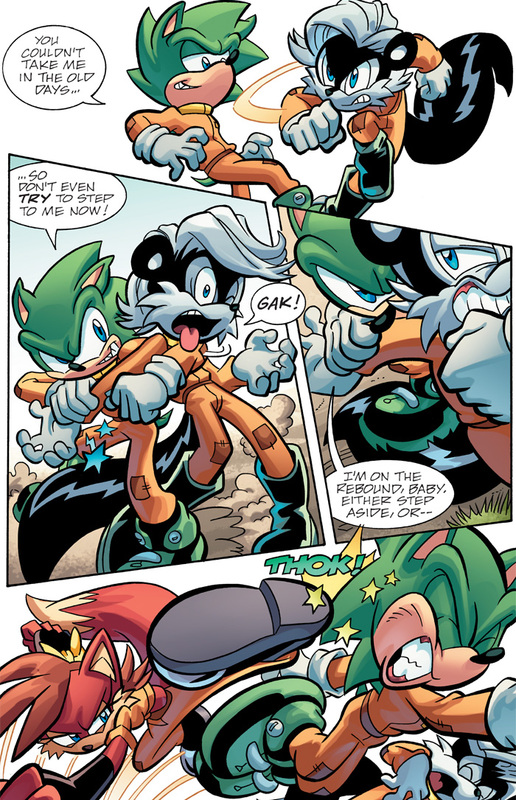 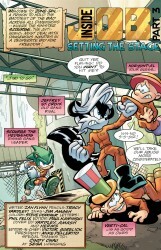 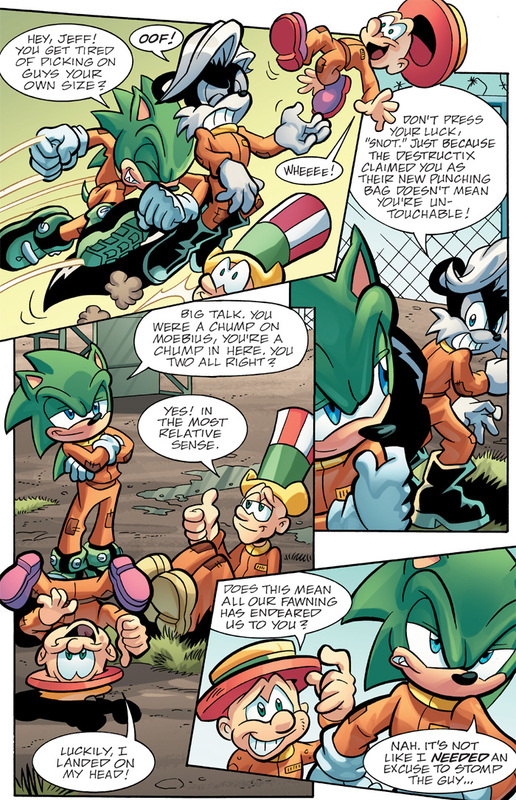 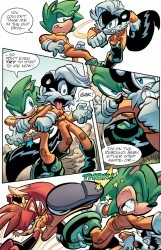 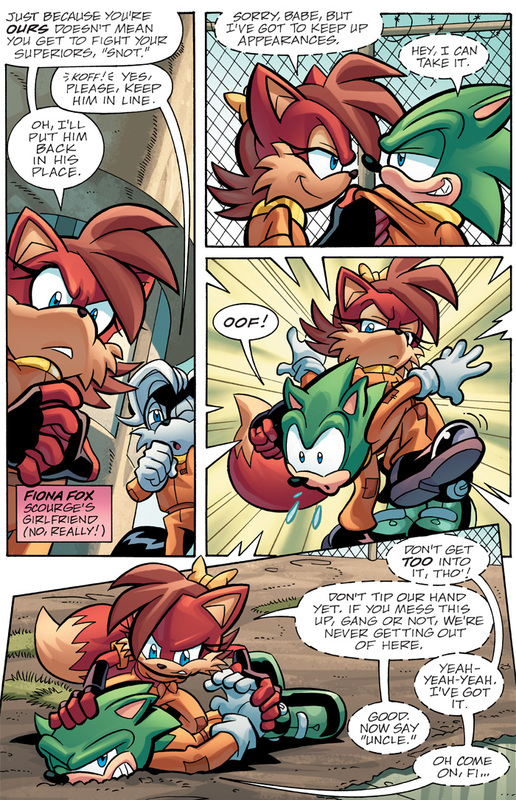 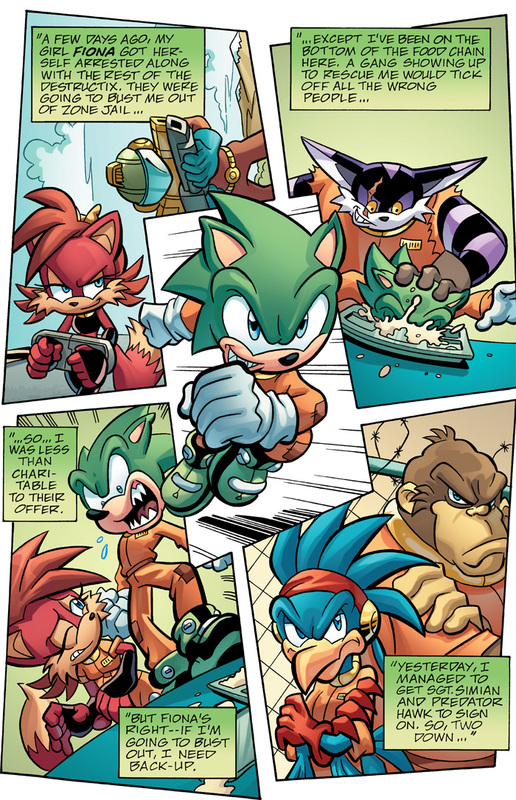 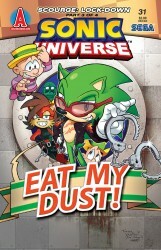 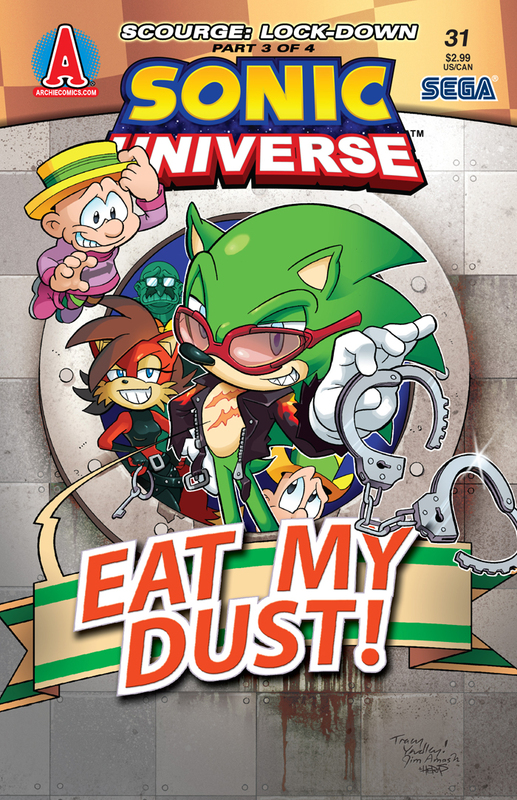 Archie Comics sent Major Spoilers a sneak peek of Sonic Universe #31 that arrives in stores this week. 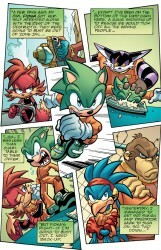 Scourge the Hedgehog, evil doppelganger to Sonic, is half-way to his goal: put together a gang and bust out of Zone Jail! 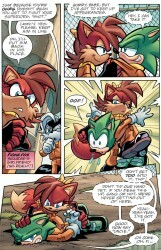 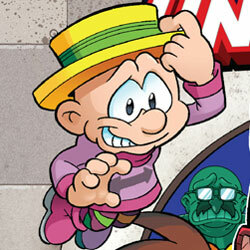 But first he’ll need to win the loyalty of two of the most dangerous members of the Destructix. 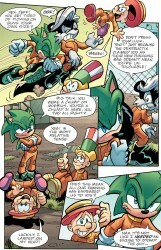 If he can survive that, the rest is easy: fighting an army of Zone Cops and rival inmates!